Moral Injury as a concept began to emerge from clinicians working with veterans who were exposed to combat and were experiencing difficulty in readjusting to their lives after returning from combat. While the research is extensive and the work is fascinating, it would take more time than both of us have right now to get into it; if this post piques your interest, I highly recommend that you take some time to look at Jonathan Shay’s book, Achilles in Vietnam, review the work by Brett Litz and his colleagues, and see how the concept of moral injury can impact the families of veterans struggling with moral injury. While PTSD can be conceptualized as an injury of the behavior, a conditioned fear response generalized to stimuli that remind the veteran of a traumatic event, and TBI is an actual physical injury to the brain, moral injury is of a different sort. Moral Injury can be conceptualized as an injury of a veteran’s deeply held core beliefs and values; moral injury can be seen as the injury of the soul. One of the primary sources of this injury is betrayal and blame: something bad happened, it’s someone’s fault, and someone needs to be held accountable. When that doesn’t happen, a veteran’s core beliefs about what is right and wrong, acceptable and unacceptable, are changed. Too much of this change can lead to an evolution in an individual’s values. A significant majority of veterans have served honorably and valorously. It is not my intent here to shout, “war turns veterans into sociopathic monsters;” I know from personal experience that this is not true. While repeated exposure to trauma, combined with an individual veteran’s desire to or inability to resist the urge to engage in atrocious events can certainly lead to events like Abu Ghraib or My Lai, it is not my assertion that it is a foregone conclusion that every veteran exposed to combat would act in a similar way in similar situations. These are just extreme examples of the effect of moral injury. 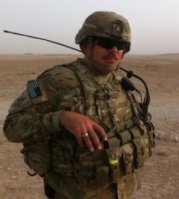 For many veterans, moral injury is much personal and internal. It is frustration at being sent by higher headquarters to go to a certain location for what is perceived as no reason, and receiving casualties along the route or when you arrive. It is not just the act of seeing a friend wounded, it is the feeling of not being able to stop it or not being able to help. PTSD does not fully explain the emotions of guilt, anger, shame, or helplessness that many veterans feel in relation to their combat experiences. The difficulty with events that could potentially cause moral injury is that they are, by their very nature, things that a veteran would prefer not to have to address. It requires connecting with someone who is able to listen to the veteran’s experiences in an accepting, nonjudgmental way. Exploring the emotional reactions to these events can be just as difficult, and just as necessary, as exploring the traumatic events themselves. If you, or a veteran you care about, is experiencing changes to deeply held core beliefs, the single best thing you can do is to seek out a therapist, counselor, clinician, anyone who can help you process these reactions. If the first one you talk to doesn’t work for you, then find someone else. If we can shop around for a car, we can certainly shop around for a mental health provider; we need emotional stability just as much as we need a car to get to work in. Attempting to understand the situational and systemic contributions to any individual’s behavior does not excuse the person or absolve him or her from responsibility in engaging in immoral, illegal, or evil deeds (Zimbardo, 2007). One final thought: the consideration of moral injury is not an effort to absolve us of our inherent responsibility for our own actions. On the contrary, helping us to understand how our experiences changed us and impact our decisions today can provide us greater accountability for our actions, and lead to greater integration between who we were, who we are, and who we want to become. Litz, B., Stein, N., Delaney, E., Lebowitz, L., Nash, W., Silva, C., et al. (2009). 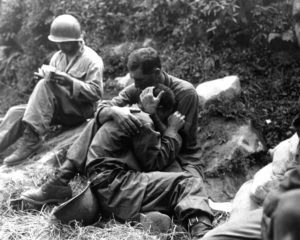 Moral injury and moral repair in war veterans: A preliminary model and intervention strategy. Clinical Psychology Review 29 , 695-706. Zimbardo, P. (2007). The Lucifer Effect: Understanding How Good People Turn Evil. New York, NY: Random House, Inc.